Laurence Greenwood, popularly known as Whitley, is an Australian singer who went to Peru in order to try the Ayahuasca brew. He is just one of the many singers who have tried the psychedelic brew and is happy about his decision to go and give it a try. Have you experienced being stabbed and then set on fire? Whitley did! He divulged all the details of his rewarding encounter here. Nic Gabriel, a Brazilian Jiu Jitsu black belt, went to the jungles of Peru to undergo an Ayahuasca retreat. Back from his two-week adventure, he recounted the whole experience with Brian from LondonReal.tv. They filmed the whole thing and you can listen to the podcast or watch the video. After 4 Ayahuasca ceremonies, Nic claims that his old self died in that jungle. His revelation is very interesting to watch. Martijn Schirp, co-founder of HighExistence.com, summarizes his Ayahuasca experience as the most soul-shaking experience he has ever had. In his blog, he narrated the preparations he made before the ceremony. He also tried to express in words everything he experienced and his realization. Is everything that he went through worth it? Click here to read Martin’s personal account of all the events that transpired. 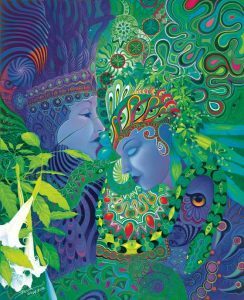 Each Ayahuasca experience is unique for every individual. Often, you’ll come home with a better understanding of yourself. Whether you’re looking for healing, enlightenment, epiphany, or just plain curious about this brew, we hope that these three stories can help you make a decision. If you finally made up your mind to give Ayahuasca a try, we offer Ayahuasca retreats in Peru. Powerful Reflections from an Intense 2017!